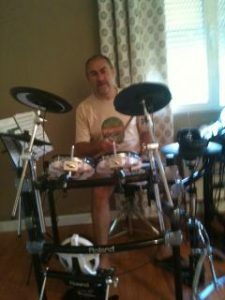 PLAY 350+ POPULAR SONGS ON DRUMS. Each video breakdown teaches you a full song note-for-note, and from start to finish. 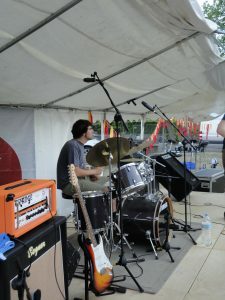 Tips, advice and stickings are given throughout the lessons to help you master the drum part. Videos are categorized according to level of difficulty allowing you to find the right songs for you. 400+ BONUS VIDEOS & EBOOKS. 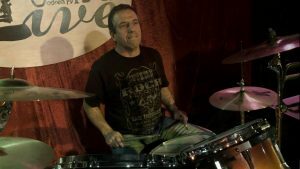 Watch a massive collection of bonus videos teaching you the most popular and famous drum licks in the world. 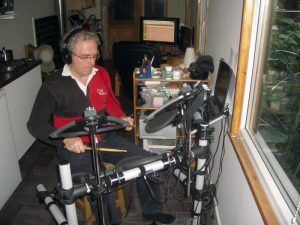 You get to download and keep three huge ebooks containing 100s of famous beats, fills & drum solos. 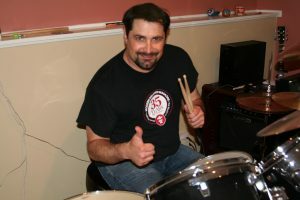 Instant online access to the very latest video drum lessons uploaded for members. INSTANTLY WATCH ON ANY DEVICE. 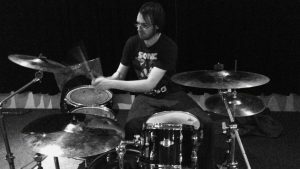 Every mp4 video drum lesson has been specially formatted to play on any computer, tablet or mobile device. All videos are streamed via Amazon S3…the worlds largest online streaming platform. Watch the video lessons anywhere, anytime and as many times as you like. "The full song tutorials are spot on and go through the tracks at a good pace." "...he has a very natural, relaxed way of explaining things that makes the learning process fun." "Robert is so good at explaining a song and breaking it down note by note..."
"My first reactions were...WOW...MASSIVE...WOW... and "*£!% YEAH!"" "I have played some of these grooves incorrectly before, but now I know how to do them correctly." 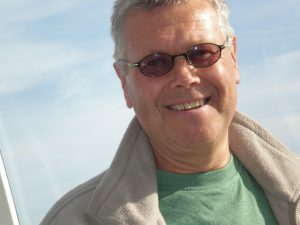 "These lessons are INCREDIBLE and excellent value for money!" "Great quality at a low price." "These lessons are awesome and really a great deal for the price." "Long live the fresh faced kid, he did teach an old dog new tricks. Thank you!" 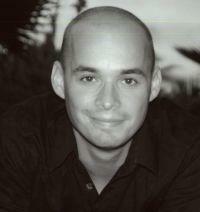 "Robert, you are easy to listen to, disarmingly informal, and way to capable for your years!" 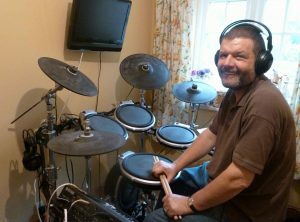 "I can't recommend these lessons highly enough..."
"Robert's video lessons contain great detail both musically and technically." "...I think I will have years of fun with this material." 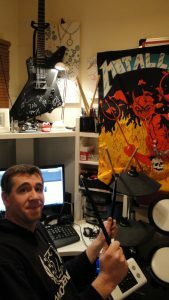 "Rob really knows how to explain the detail of a song and break it down so that even a beginner like myself can benefit greatly." 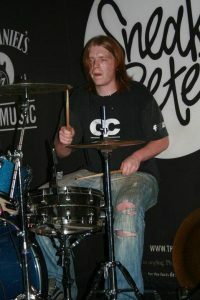 "Roberts lessons are a great way to improve your drumming on your own, and this for a very little amount of money." "There's years worth of instruction in these lessons..."
Got any questions? Please Contact Me if you have any queries at all! 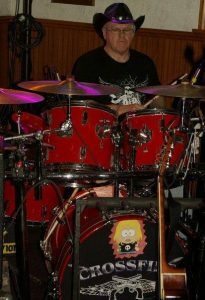 We only want you to pay if you LOVE your membership here at DrumsTheWord.com. If being an online member is not for you then simply cancel your membership within 30 days and email rob@drumstheword.com for a full refund. 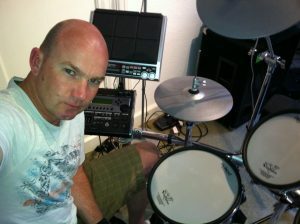 This guarantee covers ALL products and services offered and sold through DrumsTheWord.com…so you have nothing to lose! 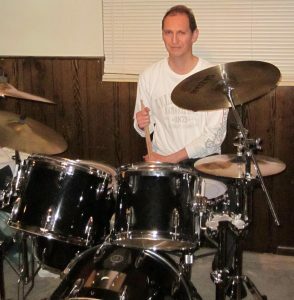 I’ve been playing drums for almost 30 years and teaching drums for over 15 years, and in that time my video drum lessons have been watched and downloaded 1000s of times by drummers from all over the world. 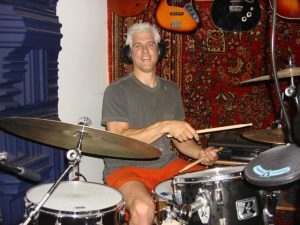 Becoming an Online Member at DrumsTheWord.com gives you instant access to my ENTIRE collection of video drum lessons and drum transcriptions. I’ve put my heart and soul into these lessons and I think you are going to see that.